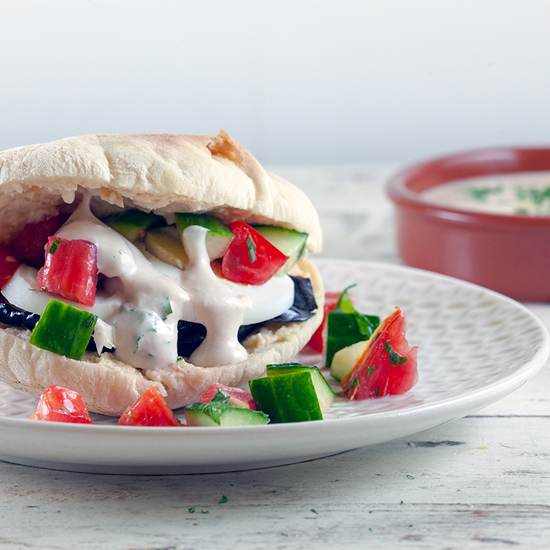 Make sure you’ll have your hummus, tahini sauce and pitas ready, or use store-bought versions. BOIL the eggs for about 10 minutes and then place them under running cold water. PEEL the eggs and divide them into slices. REMOVE the outer cabbage leaves and the hard parts before you’ll finely slice it. SEASON the thinly slices cabbage with white wine vinegar, pepper and salt. REMOVE the green parts of the tomatoes and divide into cubes. REMOVE the seeds from the cucumber and also divide into cubes. Finely CHOP the parsley and create a salad using tomatoes, cucumber, parsley and lemon juice. SEASON with pepper and salt. CHOP the eggplants into slices, not too thick. HEAT a grill pan on high heat and drizzle the eggplant slices with olive oil. GRILL the slices in batches and season them with pepper and salt immediately after grilling. 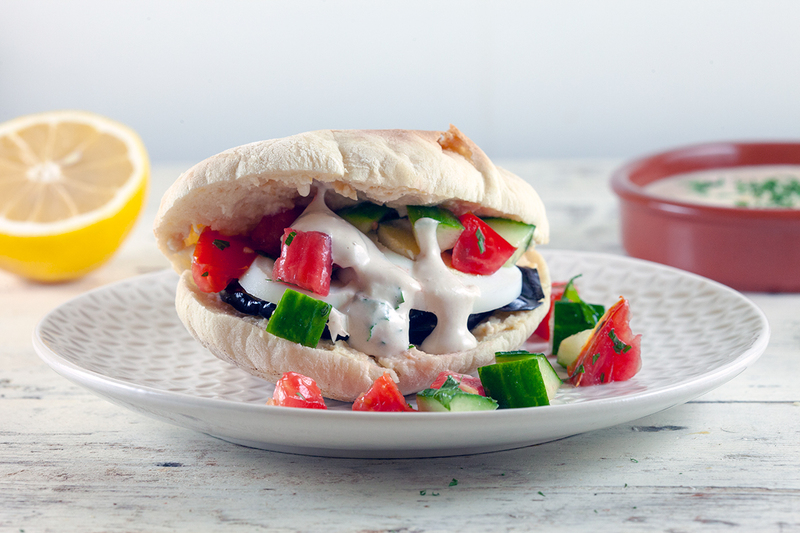 OPEN up the pitas and divide a layer of hummus on one side. 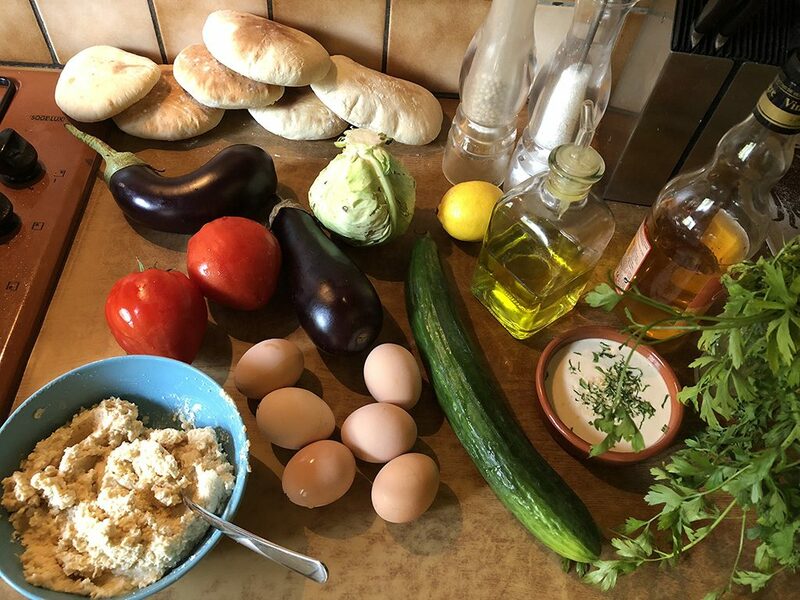 STACK a layer of grilled eggplant slices, egg, cucumber-tomato salad and white cabbage salad. 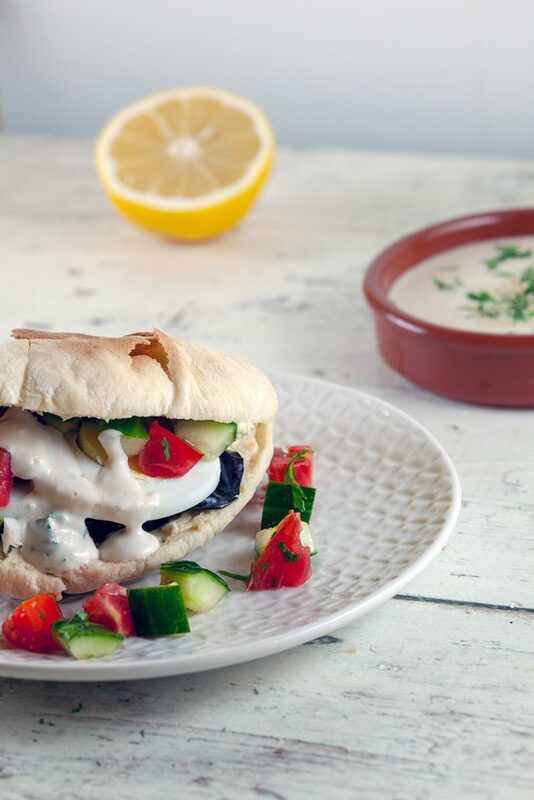 FINISH the sabich with tahini sauce, enjoy!